Time is the measured or measurable period during which an activity or process occurs. It can also be defined as the duration in which a situation or condition exists or continues. It is a significant resource in the life of every living organism, let alone humans. Time is perhaps the only resource that cannot be bought or exchanged. People can have different resources in different amounts and use them differently, but everyone on earth has the same amount of time to spend in a day: 24 hours or more precisely 86,400 seconds. Here comes the importance of management so that we can make the most out of this fixed and limited resource. Time management is an avoidable element in the lives of each and every one of us. We tend to allocate time for every action we do including even the routine tasks like bathing, exercising, etc. We also prioritize certain activities over others. For example, examinations are given more priority than say going out for a movie. Whether we deliberately manage time with to-do lists and planners or merely form an idea in our minds is up to us. But in various points of our life, our ability to manage time can be the factor on which our success hinges on. When you invest greater amounts of time on the right thing whether it is a need, goal, or weakness, you increase the chance of being at the winning side. Time management is not only about investing too much time on certain things; it’s also about prioritizing and balancing. For instance, spending too much time at your office can bring down your success at home. An efficient time manager knows what he needs and invests only the right amount of time to vital aspects of his life. Time Management Diploma is a course designed to bring you success both at home and at work. Time Management Diploma not a theoretical course, but instead it is a course on practice which covers real techniques, strategies and tools that you can apply easily in real life. 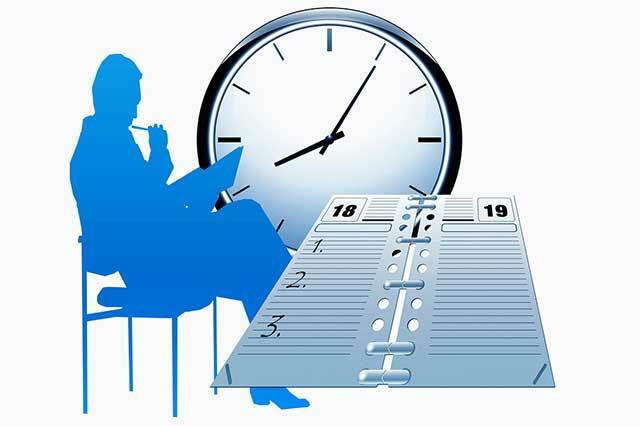 Time Management Diploma includes various aspects of time management like organizational habits, discipline, systemization, goals, values, style and persuasion that can enhance your time management skills.